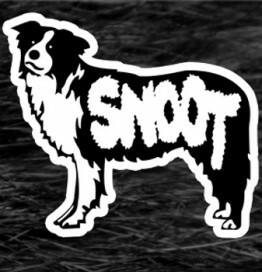 Snoot is the grungy offspring of Randy & Kayla Garcia, a couple of nerds who happen to be married. Recently joined by Drummer Chris Sheldon (Nerd Parade / Space Giants), the band has been surfing a salty wave of fuzz-pop in support of their recently released album: Dank Memes. Snoot’s music touches on topics ranging from comic books to video games, pizza, and TV shows. Additionally the band aggressively promotes body positivity, LGBTQ & civil rights, and rational thought. Snoot’s recent exploits include composing the original score to the feature-length motion pictureAmerican Dirtbags, 2 US tours, A Daytrotter Session, and performances at Orlando Nerdfest (2014), and DragonCon (2015). In Fall of 2015, Snoot launched PupSounds, a record label to promote their various endeavors, and to assist like-minded artists looking to bring their music to life.